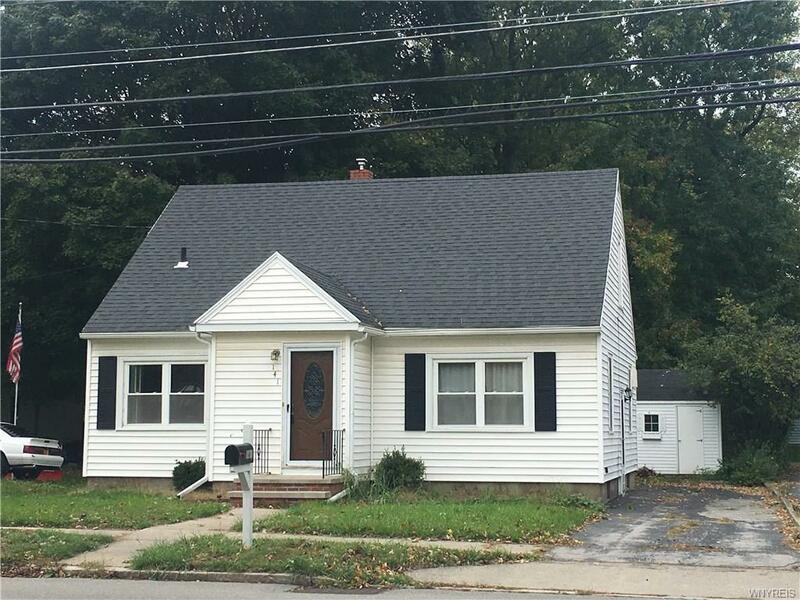 Very well maintained Cape Cod style home in a great city location near thruway and shopping. Deep back yard and shed on cement slab Inside this home you will find gleaming hardwood floors throughout this 3 bedroom 1.5 bath home. Huge master bedroom with extra large walk-in closet. Tear off roof '07, gutters '13. Formal dining room, spacious kitchen, C/A and more. Take a look! Directions To Property: Oak St. Is Also Rte 98. Going North Home Is On Left Before Thruway Toll.